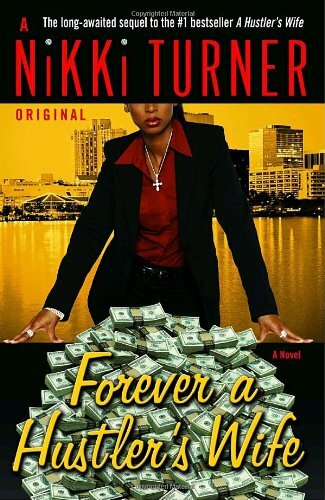 The high priestess of the hood, Nikki Turner, is back with the novel fans have been feeninâ for: the sequel to her #1 bestselling novel, A Hustlerâs Wife. Des, Virginiaâs slickest gangsta, is about to become a dad when he is charged with the murder of his own attorney. But with Yarni, his gorgeous wife (and a brilliant lawyer), now calling the shots, Des isnât going back to the slammer without a fierce fight. Even with the heat on, Des manages to take his game to the next level and finds a new hustle, one that will allow him to possess the three things all major players desire: money, power, and respect. He becomes a preacher. Reluctantly, Yarni stands by her man as he trades in his triple beam scale for a Bible and a Bentley and makes his Church of the Good Life Ministry a welcoming place for all sinners to step up to the altar. But when Desâs nephew is killed in the high-stakes heroin trade and Des learns that someone close to him okayed the hit, the dyed-in-the-wool gangsta sets aside the Bible for the gospel of the streetsâeven if it means risking the one person whoâs always had his back.